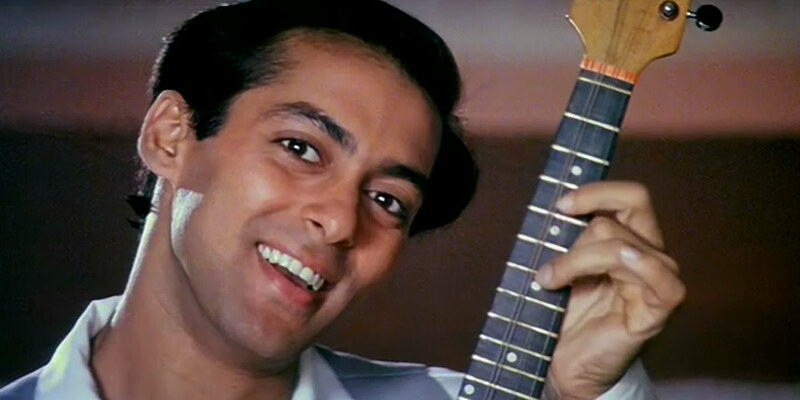 Gone Bollywood: Hum Aapke Hain Koun.! Following on from last week’s extravaganza, it’s another leap into the nineties. And even as the opening credits roll I’m reminded that this is twenty years ago (gasp!) by how youthful Salman Khan looks. He really has gone from being the fresh-faced pretty boy you might take home to meet your father … to being your father. Aaaand … it’s Madhuri Dixit on rollerskates. This makes me so happy. (A recurring image in the film is a picture of Madhuri eating an ice cream, which I have started to feel I need in my kitchen along with the Queen Mum pulling a pint.) Also making me happy: Tuffy the dog. Pooja is nice and everybody loves her; Rajesh is upstanding and sometimes wears a suit. They’re not required to have extensive personalities. What they do have (in due course) is a baby … causing an outbreak of dance and nursery painting. But they’re not why we’re watching the film. The ticket-price romance is, of course, Salman and Madhuri. This is what chugs the songs along too: ‘Joote De Do Paise Le Lo‘ requires deep exegesis on shoes and weddings, ‘Maye Ne Maye‘ is cute and flirty and in ‘Pehla Pehla Pyar Hai‘ Madhuri’s on a pool table and Salman’s in a practically painted on singlet. ‘Didi Tera Devar Deewana‘ brings the slapstick. Around the halfway mark, a major subtitle malfunction meant I was going it alone with rudimentary Hindi and the expressive powers of Madhuri’s eyebrows. Fortunately, there’s not a lot of subtlety to translate. There’s certainly nothing subtle about Pooja’s death. Like the pram from Battleship Potemkin (but more rubbish), she’s down the stairs with tomato sauce SfX. Oh, Pooja, everybody loved you and then you got to die really hammily. Pooja’s death leaves Rajesh holding the baby, and remarriage seems practical. ‘Aha!’ think the families … and, anthropologists, we’re heading towards a classic sororate marriage. But, Nisha’s Hindi is as flimsy as mine, because when she hears ‘shaadi‘, she thinks ‘Prem’. The Nisha-thinks-she’s-marrying-Prem-but-she’s-actually-marrying-Rajesh plot strung out long enough for me to get a little worried about the dance romance all ending badly. Fortunately for the course of true love circa 1994, Tuffy the dog fixes everything. 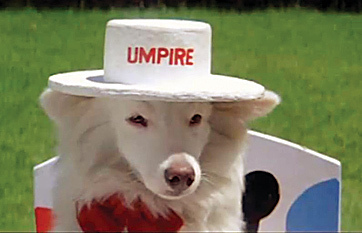 Tuffy went on to become a Bollywood action hero. Salman went on to roam Eastern Europe looking for a decent chicken tandoori.